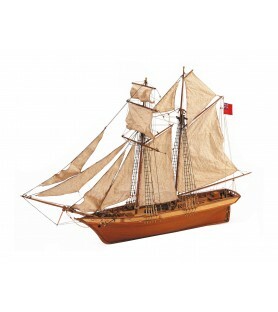 Find Intermediate Level wooden model ships here. 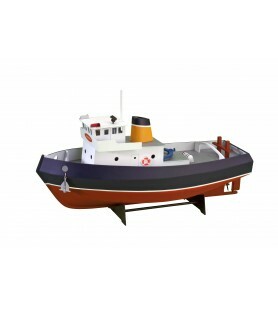 If you have enjoyed in the naval modeling or modelcraft world, discover here all the Intermediate Level models that we propose. It is a level after Initiation and prior to Advanced. 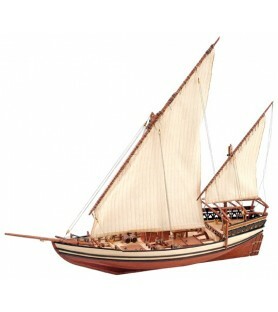 Build the model of this mythical fishing boat of the Mediterranean Sea: Mare Nostrum. This kit includes a digital booklet with step-by-step instructions and a 1:1 scale printed plan. Designed for beginners, the new Mare Nostrum will also appeal to more experienced modelers thanks to all the fine details included in the kit. Dutch naval modeling kit: Botter. 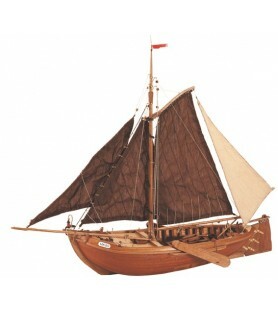 With the acquisition of this wooden model you will have all the necessary parts to complete the replica 1/35 scale: woods, sails, threads, metallic accessories... Everything is prepared so the modellers, with their skills and tools, can build a unique full of history, beauty and quality artwork. 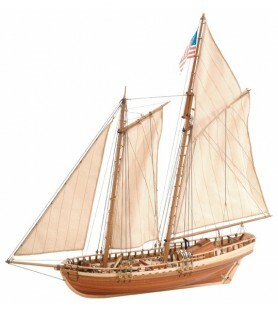 Wooden model in 1/41 scale of the Virginia American Schooner. It includes instructions set with 7 different languages, a full color step-by-step and all the parts that you need to build this classic ship of the XIX Century. 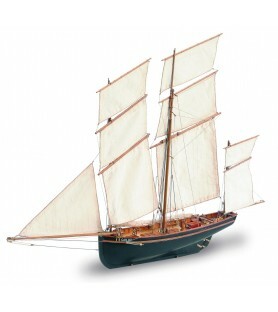 Virgina Schooner is a classic ship that can not be missing in your modeling collection. 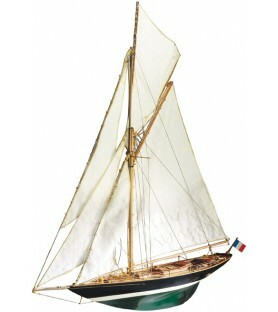 Wooden model of Marie Jeanne boat -scale 1/50-. 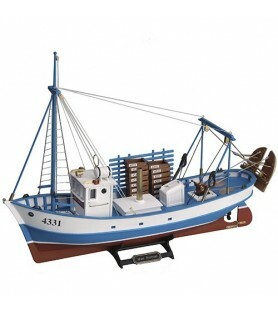 Naval modeling kit of the French tuna vessel. In addition to all the parts that the model needs, it includes a complete detailed set of color step-by-step instructions in 4 languages. Once the model is finished: 22.24’’ long, 19.48’’ high and 4.52’’ wide. For started modellers with basic knowledges. 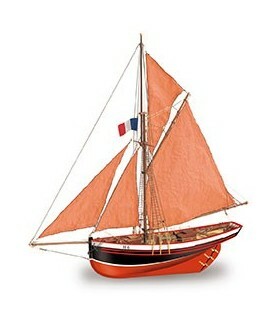 Wooden model of the French cutter Jolie Brise, scale 1/50. It is a modeling kit recommended for modelers with a medium level. With the acquisition of this French model, you will have all the necessary parts to complete it. Once finished, the model is 19.88’’ long, 20.27’’ high and 4.05’’ wide. It is a jewel of the naval modeling that you should build! 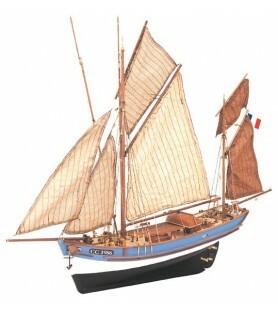 Enjoy building the wooden model of La Cancalaise, boat appeared in the ports of Cancale and Granville. 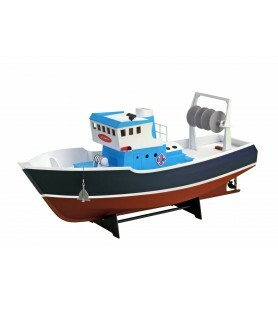 The naval modeling kit contains a 1/50 scale model to build. This ship is remarkable for its forms as much for the audacity of its rig and the elegance of its workmanship. 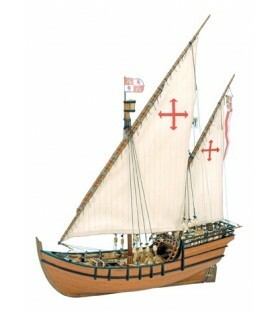 Build the wooden model of the caravel La Niña. 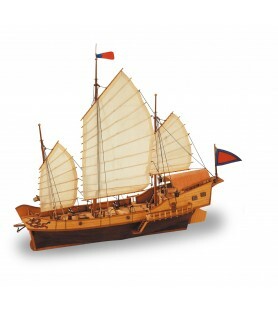 The model kit includes all parts you need: hand-sewn sails, threads, wood, metal, prefabricated wooden pieces... In addiction to a complete and detailed full color set of instructions that will guide you in the construction. 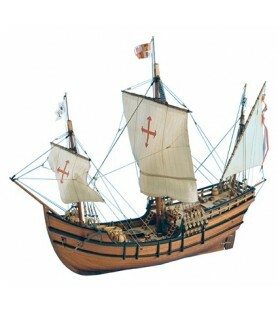 Discover the conditions in which they traveled in 1492 recreating this model. 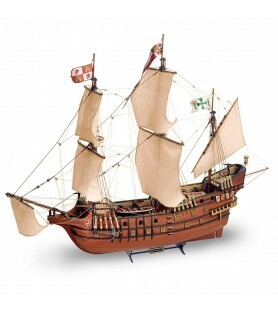 Wooden model, 1:65 scale, of La Pinta caravel, the fastest of the three naos that served for the Discovery of America... And the most important because from this ship the famous "Land ho!". It is a scale model aimed at lovers of naval modeling. Use the best instructions on the market in seven languages ​​to build this historical replica. 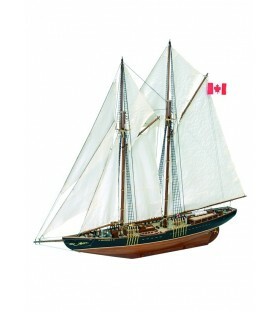 Wooden model of the Canadian schooner Bluenose II, scale 1:75. The Bluenose II is one of the most important fishing and regatta boats in history. The modeling kit includes a complete set of step-by-step instructions in seven languages. Recommended for initiated modelers. 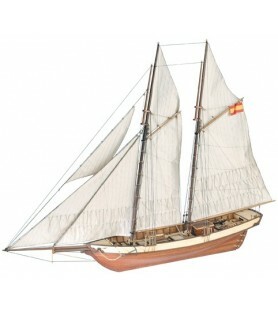 1/60 scale wooden model of the Spanish schooner Mistral. The ship model replica kit includes full-color step-by-step instructions and all the parts you need to build the kit needs. 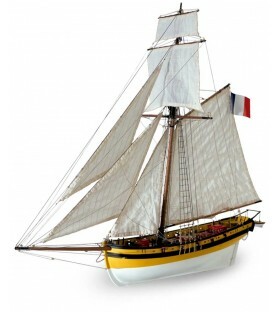 The armed schooner Mistral of the 19th century is a classic that can not be missing in your collection of naval modeling.